10feb1:00 pm3:00 pmArt Comes Alive! It’s back! The once-a-year event that surprises, amazes, and amuses visitors of all ages is happening throughout our galleries on Sunday, February 10. 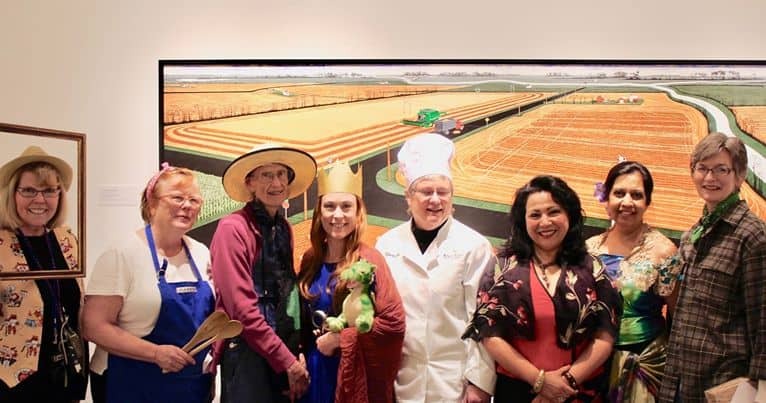 Docents from the Society of the Arts – Lehigh Valley bring our artworks to life by dressing up as the subjects depicted and literally telling their stories. Bring your children, grandchildren, or Valentine’s Day date to the Allentown Art Museum for an enjoyable–and free–afternoon. 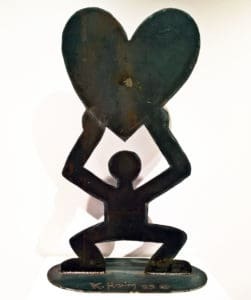 “Untitled” by Keith Haring: Carol Shiner Wilson will read the book “The Boy Who Just Kept Drawing”; also, at the activity station in Butz Gallery, children will get a chance to pose like the sculpture, holding a heart—a great photo op for parents! They will also be invited to write their own story titled “The __ Who Just Kept _____.” They will be given a new Valentine pencil to write their story. Mary Jo Gonsiorowski and Barbara Sharma will be coordinating this activity. From Muhlenberg College, Henri Reiss-NaVarre will play the guitar. Also, Bonnie Baca will greet visitors dressed as an old-fashioned museum director, complete with a top hat, monocle, bow tie, very official name tag, and a suit.